Kauhava is in Southern Ostrobothnia. Juhani Palmu is one of the most renowned contemporary artists in Finland. His production can be appreciated in his own country as well as in 24 more countries in Europe, the United States and Japan. One of his main Galleries is in Alahärmä, 55 kms away from Seinäjoki, Finland. In this gallery visitors can be delighted with Palmu’s long carrier paintings, different thematic. 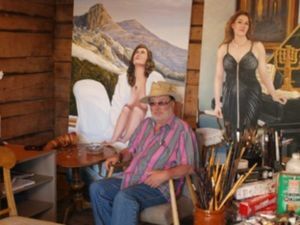 The painting message is mainly related to Finn-Hungarian popular traditions; also the pictures vary from landscapes, women figures, to Old Testament representations. Landscapes have remained a worthwhile theme throughout his career. His paintings describe the power of nature in its seasonal colors, shapes and patterns. Pamu's basic images are simple; Finnish vernacular buildings, the quality of the northern light, ancient symbols, the landscape itself and its inhabitants. His paintings communicate the feeling of environments that have been lived in and the land that has been worked. Powerpark is one of the most popular leisure centers in Finland. It is located in Alahärmä, 55 km from Seinäjoki. The construction of the amusement park started in 2000, as a dream of its owner Jorma Lillbacka. 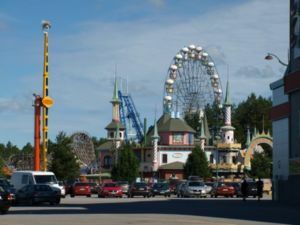 Only 10 years later it was already ranked among the best amusement parks in Finland. Its success is mainly due to the tidy facilities, helpful staff and new and exciting attractions every year. PowerPark is meant to be a magical world of fun that spreads over 250 acres, and includes: the amusement park and Wonderland, an outdoor go- kart track plus an indoor one, a Mediterranean style hotel, restaurants, cafés, small shops and a large camping site with cabins and chalets full of character. All year round activities include horseback hikes, quad bike safaris in Ostrobothnian countryside and a 5- D movie theatre. 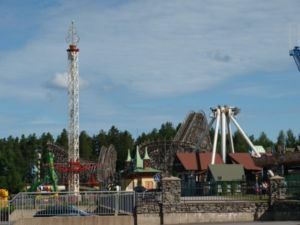 The amusement park has attractions for all ages, and both kids and grown- ups can choose from 39 rides such as: a new water rollercoaster, a jaw dropping free fall, an interactive ghost train named Devil’s Mine Hotel, a reversing rollercoaster- Cobra, unique in the Nordic countries, and many others. 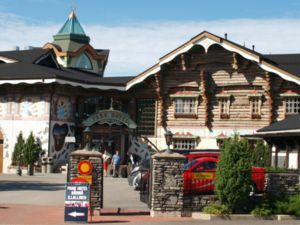 For those who prefer less excitement, there are also traditional carousels, bumper cars and the Wonderland village, home for Rölli, a troll-like creature living in the woods. The amusement park has a lot of green spaces, flowers and fountains and a shopping street with cafés, shops and ice- cream vendors. The whole premises are clean and tidy, everything is nicely organized and put together, making it a good a place to hang by, besides the high thrill sensations given by the rollercoaster rides. In May and August, there are limited opening hours. The ticket price ranges from €5 for the admission to the park to €34 for a one- day ride pass for an adult. Make sure you check the safety limits, as most of the rides have height restrictions. 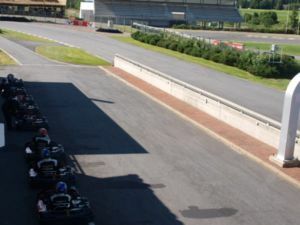 The outdoor go-kart track was designed by the Finnish Formula 1 driver Mika Salo and has sometimes proven to be challenging even for experienced drivers. The track with a nice view to Lapuanjoki River is 1 km long and has often been compared to Formula 1 tracks. The roofed stands fit up to 2,000 people and a computer programmed timekeeping device shows the lap times. Everything is meant to recreate a Formula 1 atmosphere and offer great time to both drivers and viewers. The indoor go- kart track is the largest one of its type in Europe and the racing track is 600 m long, where electric cars swerve around the turns in competitions or just for fun. Both tracks offer fun-filled experiences for everyone. No experience is required and as full tuition is always provided by PowerPark as well as all the equipment needed. Instructors give a thorough guidance before start. It is a wonderful opportunity for families to spend time together, feeling a lot of adrenalin, and for friends to compete with each other and enjoy themselves. Puistotie 3, 62300 Härmä. Alternatively: Jorma Lillbackantie 16. The closest railway station is located in Kauhava, around 25 km from PowerPark. There is the Kauhava’s taxi station next to the railway station. The bus timetables can be found on www.matkahuolto.fi. Please note that the buses do not stop in PowerPark, they stop only in Alahärmä centre, 2-3 km from PowerPark. This page was last edited on 25 June 2013, at 07:11.